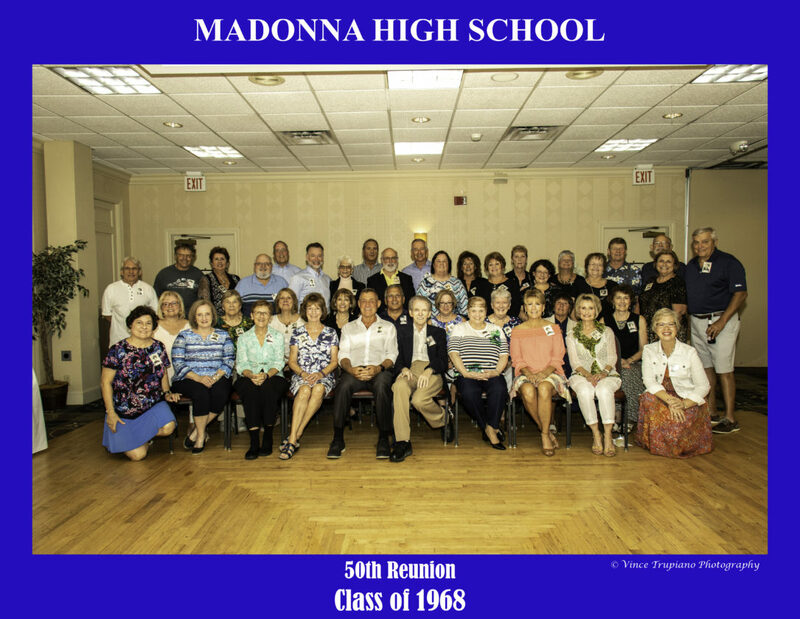 Members of the Madonna High School Class of 1968 held their 50-year reunion on Aug. 31 at Undo’s Restaurant at the Holiday Inn in Weirton. The following day, classmates enjoyed a tour of their alma mater, golf at Williams Country Club and a pizza party at the home of Tina and Jack Wells. 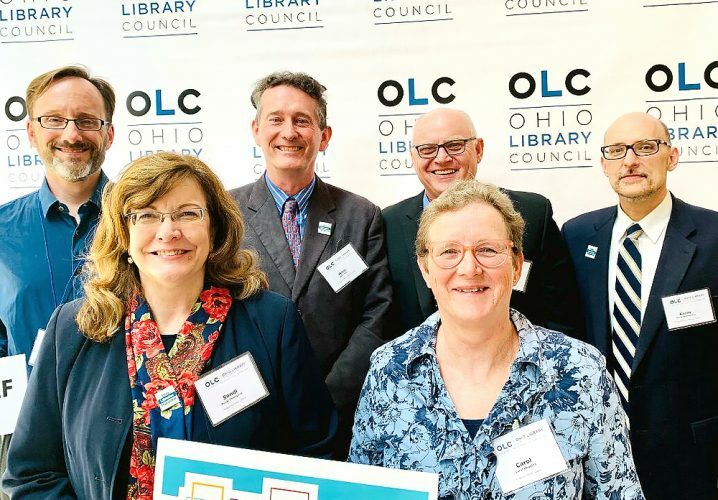 Forty-one of the 105 graduates attended the reunion. 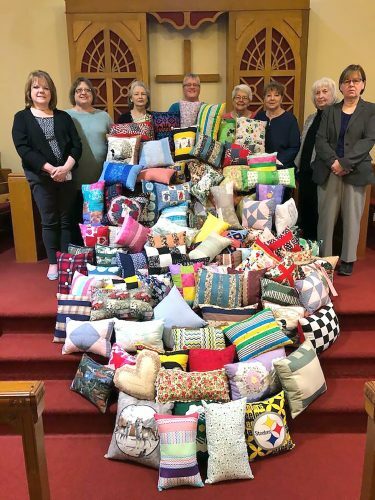 On hand were, front, from left, Janice Martinelli Sharpe, Kathy Kurcina Reinacher, Peggy Rash, Judy Howard Kallay, Bob Szymanek, teacher Bill Barrett, Linda Gutwald Wilson, Francine Bundy Swiger, Jan Rojak Tomasello and Elaine Goleski; second row, Tina Luoto Wells, Marge Rurak, Bernice Andrews, Ann Marie Ference Leferink, Dan Kowalski, Kathy “Bee” Brown Fedak, Sally Egan, Karen Beadling and Debbie Greco Catton; and standing, Vince Trupiano, Fred Bosnic, Rose Ann Ferrelli McMurray, Mike Pavlik, Tony Stephens, John Przybysz, Mary Avona Petrozzi, Tom Nogay, Dom Carpini, Rich Rurak, Betty Taucher Grabania, Carolee Torchio Sikora, Sharon Carducci Dragisich, Mary Anne Godochik Whiteside, Linda Salancy Skrab,Toni Battista Applegate, Theresa Zysko, Tom Kallay, Dennis Lutz, Fay Asfour Stump and Rick Mikula.